About a year ago, I decided to go through all my old childhood photos and make a scrapbook with them. I hate that they just sit in boxes and will probably continue to sit in boxes until the end of time. My kids don't seem to have much interest in my life before them, but I hope that someday they want to know more about our family history. I started on an album (Project Life) and while it is turning out super cute (all 5 pages that I have done)...I felt like something was missing. I don't have stories from when I was born. I don't know what to journal about. The photos are cool, but I don't know what to do with them. I've been following Francesca Russell's photography and film work since I was in a class with her last year. She is the queen of projects - listen to her guest podcast on This Week in Photo - and often has several going at the same time. She recently recognized the need to record her stories and The Legacy Project was born. Anyone is welcome to join her Facebook group (if you want to join in, go ahead! Only the first assignment has been posted, so you aren't even behind!). What do I know about the day I was born? Where was I born? And how did I get my name? 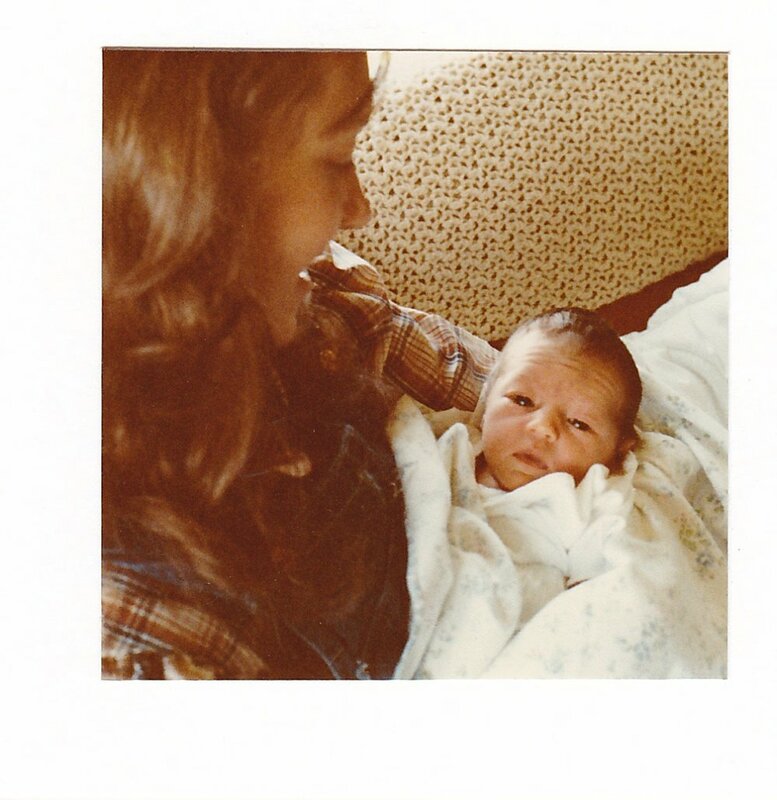 I have always known a few details about the day I was born, but really hadn't sat down with my mom before now. (At first, I asked her to write down what she remembered, but since it's canning season, she invited me over instead so she could keep working on salsa!). My mom remembers April 26, 1983 like it was yesterday. My due date wasn't until May 24, so the day started out like any other day. She rode her horse, Smokey; repotted some plants; washed the kitchen floor; laid out to get a tan; and went to nearby Aurora with my dad to get some parts (and drank an orange pop on the way home). It was the first day of corn planting, so my dad headed out to the field. Mom was making Mexican for supper - she remembers opening a can of beans and suddenly her water broke. Being a first time mom, she wasn't quite sure what had happened, but quickly figured it out. There were no cell phones back in that day and my dad was out in the field near my grandparents' house. She called him on the two-way radio with a cryptic "Can you come home?" Several neighbors shared a radio channel (often there was a radio in the house and one in every vehicle - to this day, we still have a few inside jokes that came from listening to conversations over that radio!) and my mom had no intention of broadcasting the news that her water broke. My dad, like any good farmer on the first day of planting would, replied "Now?!? Why?" My mom just calmly repeated, "Can you come home? Now!" He listened and soon they were on their way to town, 5 miles away, after a quick stop at the farm to let my grandpa know that dad wouldn't be back to plant that day. 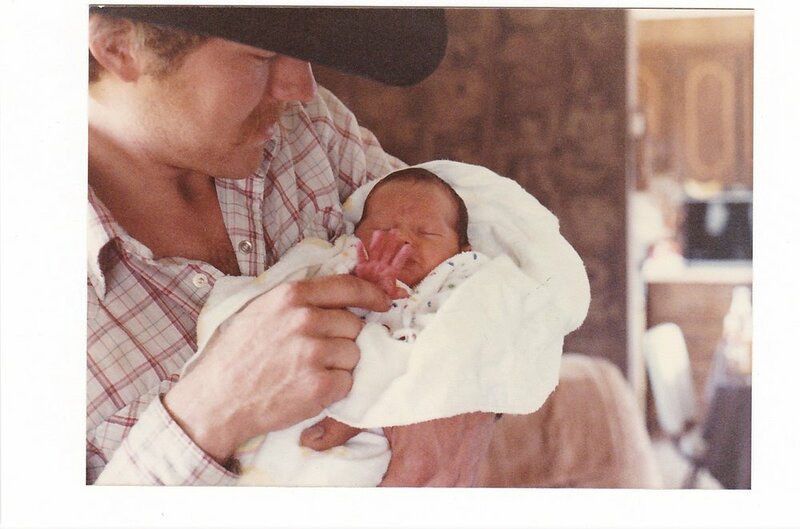 I was born at 11:55 p.m. on April 26 at the Henderson Hospital in Henderson, Nebraska. My mom still thinks it is funny how little she knew about having babies: when she was told it was time to push, she let out a scream. My dad looked at her and said, "What did you do that for?" She replied, "Well, I thought that's what you were supposed to do!" I was 5 lbs, 12 oz and was delivered by Dr. Wochner. My mom also laughed about how she only packed pre-pregnancy clothes to wear after delivery, not knowing that they wouldn't fit yet! She stayed in the hospital with me for a week and loved it, because she wasn't sure what to do with a newborn! My dad ended up riding in a rodeo that weekend (I was born on Tuesday and by the weekend, my mom was fine with letting him go). Back in those days, dads didn't stay at the hospital at all and there weren't a lot of visitors. Apparently I was a sleepy baby - I also had jaundice and didn't want to wake up to eat! My parents were cowboys in my younger days - one of my first memories is of standing beside a horse pen with another girl my age. I asked my mom how I got my name and of course it had to do with rodeo. They knew a barrel racer named Cody Kelly (she had to clarify that all barrel racers are girls - I know next to nothing about rodeos!) and they thought it was a great name. My middle name is Lee, which comes from both my grandpas. If I would've been a boy, my name would have been Zeke because they knew a calf roper with that name! Also, in 1983 the first cell phone was released by Motorola. The price was $3,995. Wow. And that's it for the first week! If you would like to learn more about the Legacy Project, visit Francesca's website!